Openfiler is a os / sw for implementing or configuring iscsi devices. Suppose your company doesnt have a SAN storage. But you want a shared disk for one application. 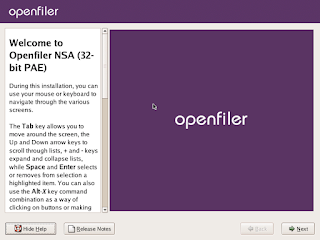 You can use openfiler here. 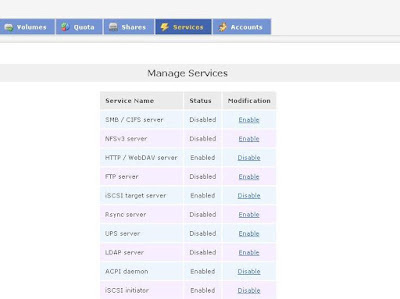 With openfiler you can create a iscsi target. 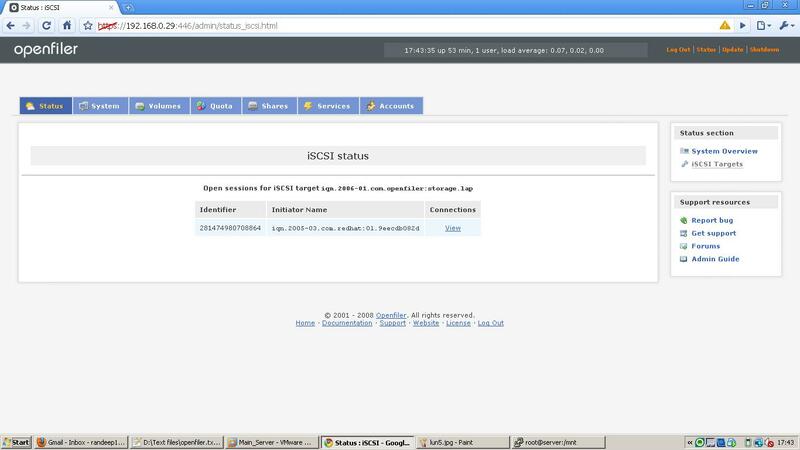 And by installing the proper iscsi initiator on the client you can mount the openfiler's iscsi target on your client. In background its just redhat rhel linux. 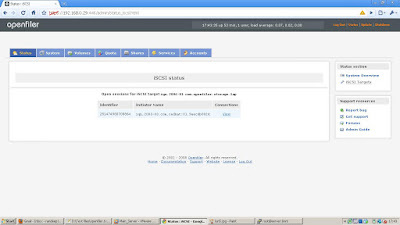 In this example we are using openfiler as iscsi target and a Rhel5 machine as iscsi initiator. 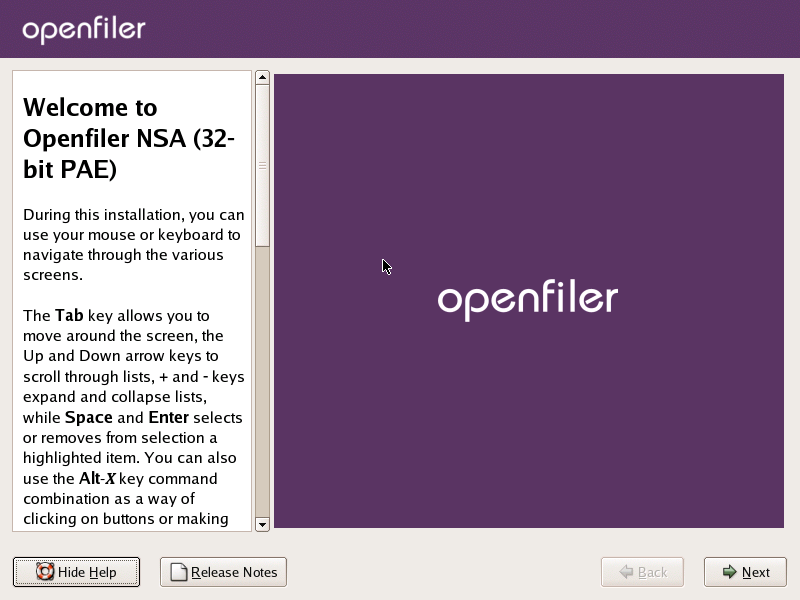 Download the openfiler openfiler-2.3-x86-disc1.iso from Openfiler website. 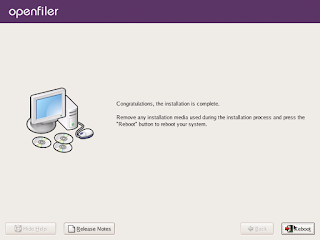 Installation steps are shown below. 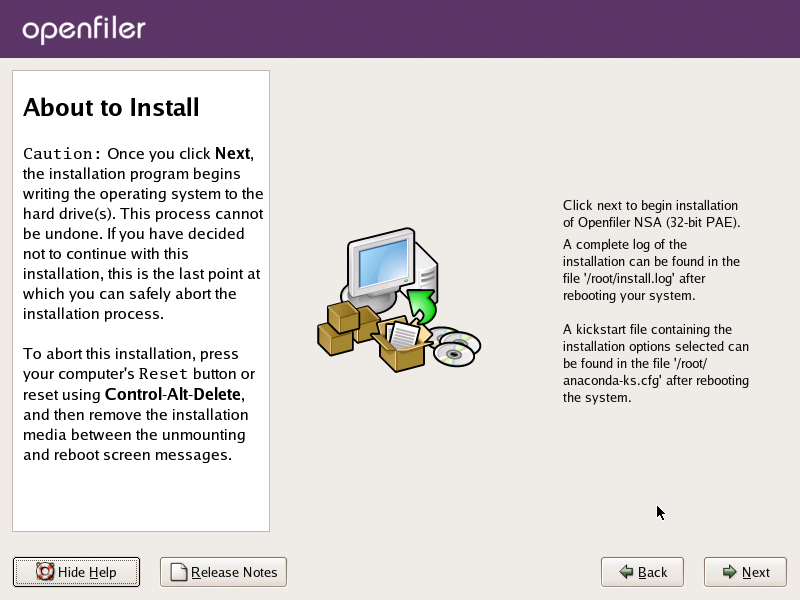 Just hit enter for starting the installation. You can do a media check if you want. You can skip it. nstallation process is starting. Just hit enter. Check the Mannual pratition with Disk Druid and hit enter. A /boot partiton of 100M size with ext3 filesystem. 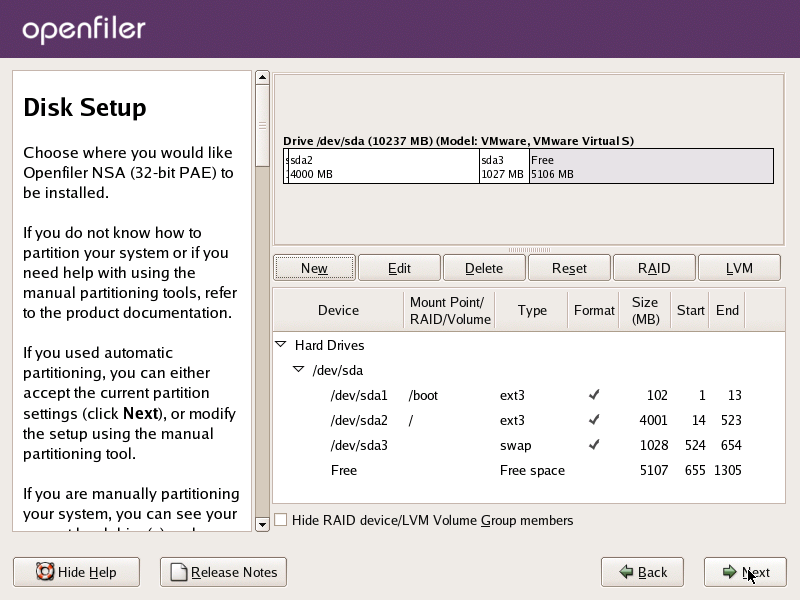 A / partition with 4000M size with ext3 filesystem. A swapfilesystem with 1024M size. 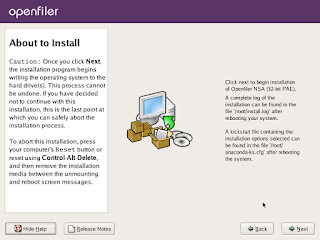 Click next for continuing installation. Click "No" for continuing. 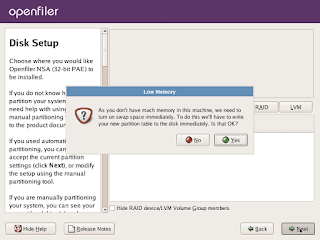 It is recommented that you should have a 2Gb RAM on openfiler system. 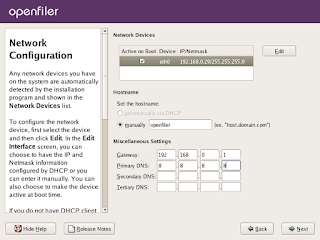 Give the gateway and DNS settings for openfiler system. Rest is optional. Installation is about to start. Installation is on progress. Wait for completing. 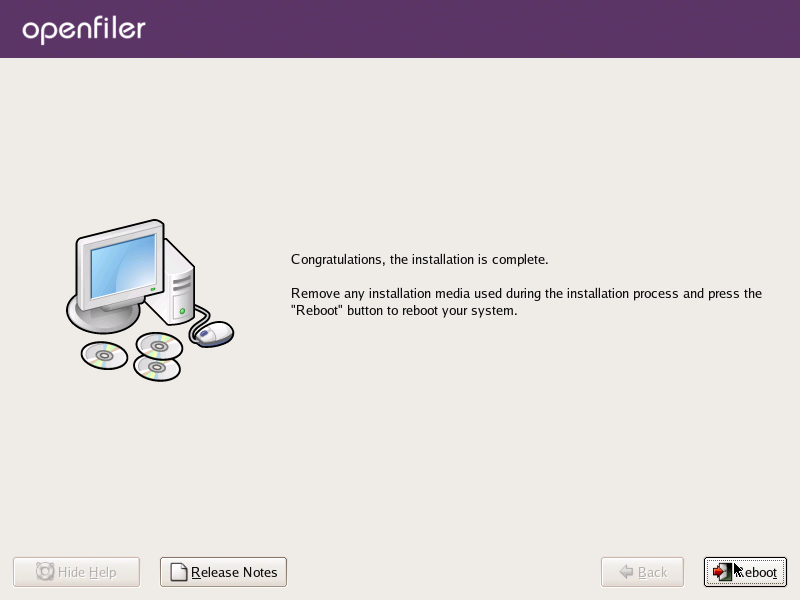 Installation is completed.Click reboot for rebooting you machine. After rebooting you will get a screen like this. You can login as a root user. But before that a few things to be done. 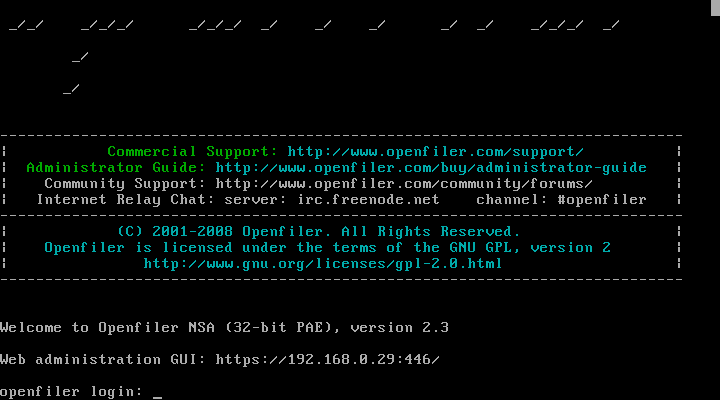 For accessing openfiler through web interface you need a web server configured. Apache comes as configured with opefiler. But you have to start the service. 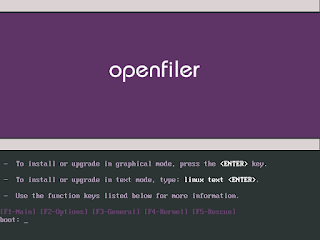 And you need to start the openfiler servicce also. You may get an ssl error, but you can proceed. password : redhat //default it'll be password. here i changed to redhat. First you need to set a Network access Point. This machine / network will be used as client. If you are setting a iscsi device for a host, u need to give 255.255.255.255 as netmask. 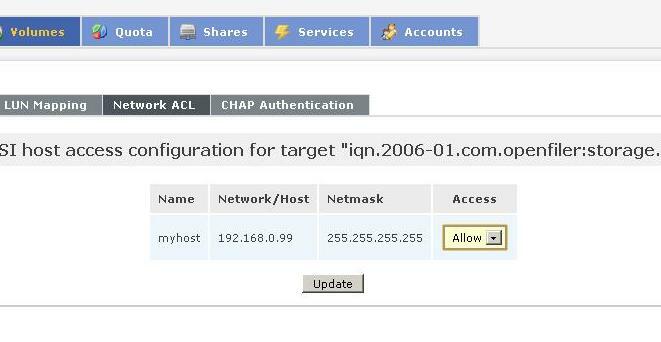 If you are setting a iscsi device for a network, u can give 255.255.255.0 as netmask. 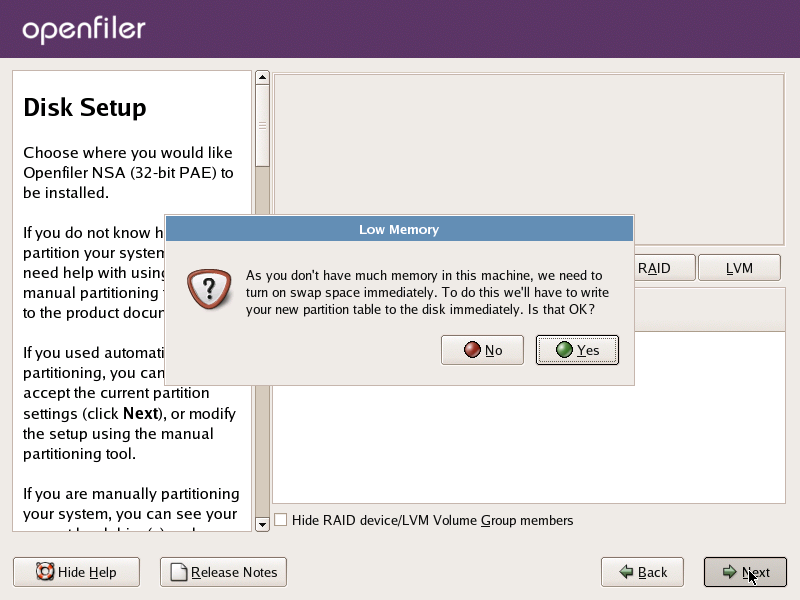 Openfiler uses the LVM concept. First it will create a Physical volume. After that it will create Volume group and then the Logical Volume. You will get a page as above. 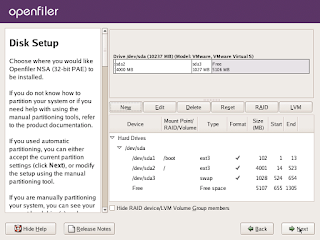 Click /dev/sda in the edit disk column. We 'll create an extended partition first. You may dont have to do this if it is already created. After that in that extended partition, we will create a new partition as physical volume. As shown below. Now we will create the Volume Group using the create physical volume. You can create more physical volumes and make a volume group using all those physical volumes. 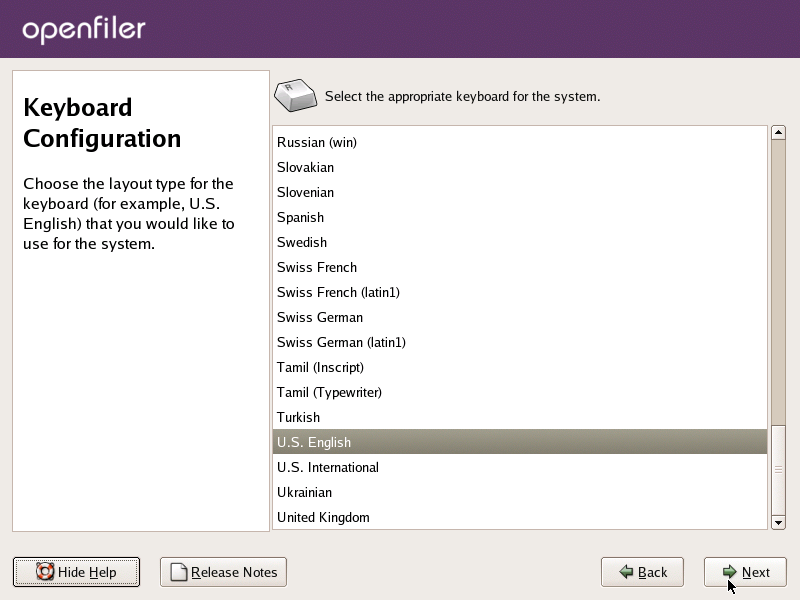 Click create a new filesystem volume. Now we gave the Volume group the name storage. Now click change to create new Logical Volume in that. The Logical volume is created. You can create more if you want. Now we want to set up the LUN. 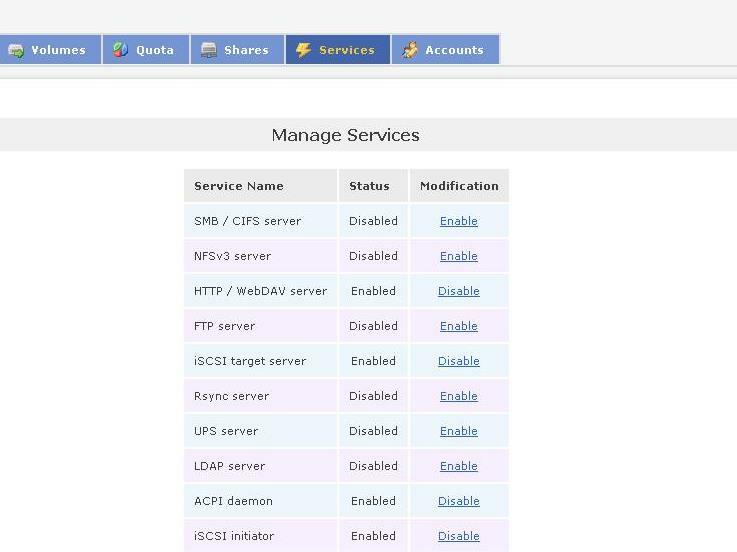 Before it was disabled now Iscsi target server became enabled. You just had to click. Now we have to create a LUN device. 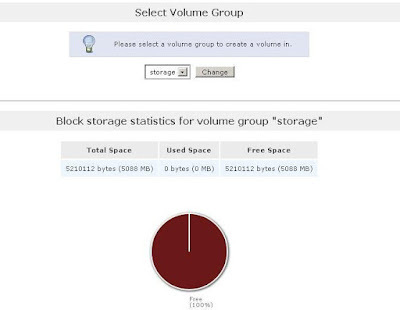 Goto volumes tab. 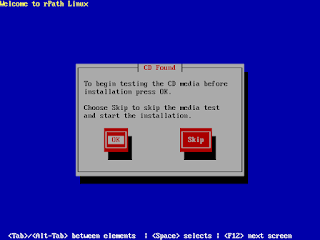 Click iscsi target on the right side window. 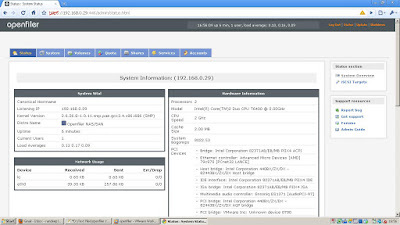 Now Goto LUN mapping tab under the Iscsi target. 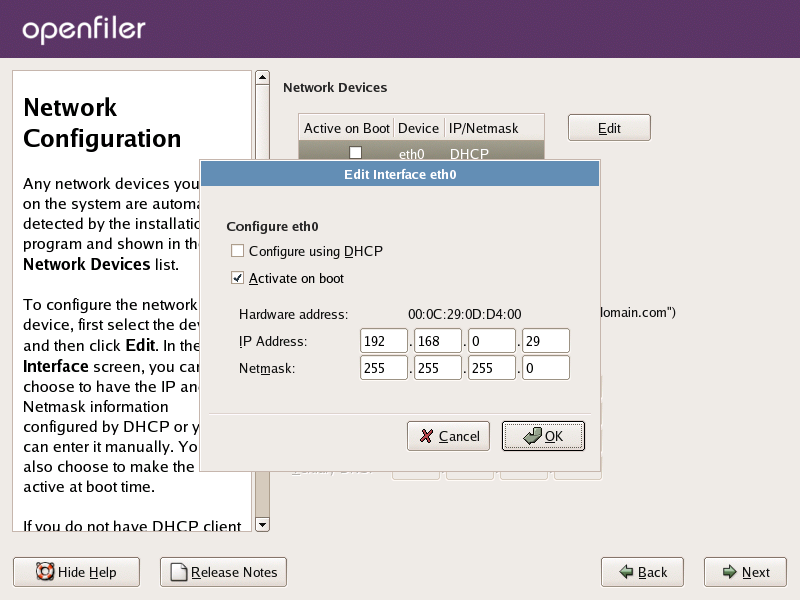 Now You have to edit the Network acl and allow the host to use the mapped LUN. 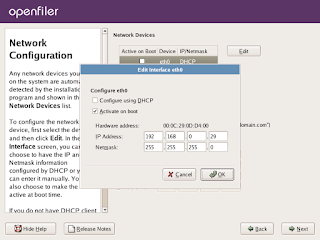 Click on Network acl. 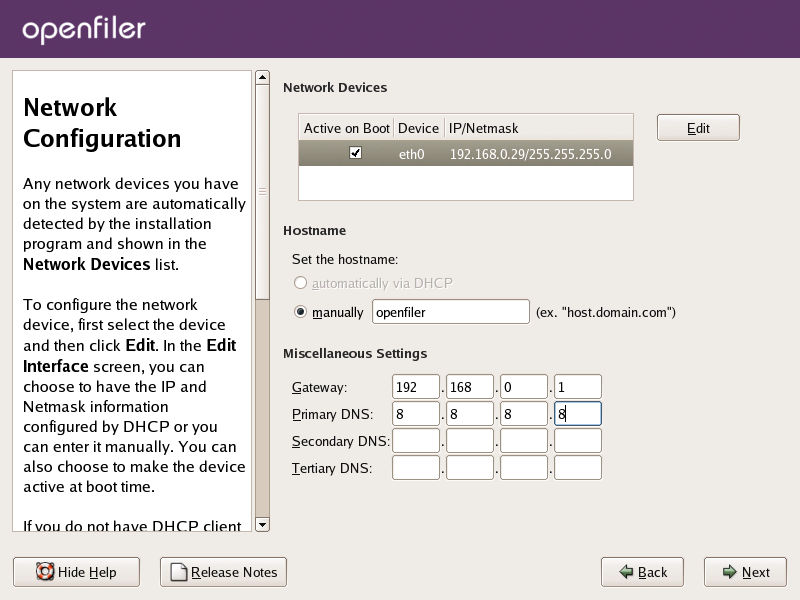 Now the iscsi target from openfiler is mapped to the metwork access point. You can access it from that machine. This is status of LUN after mapping. 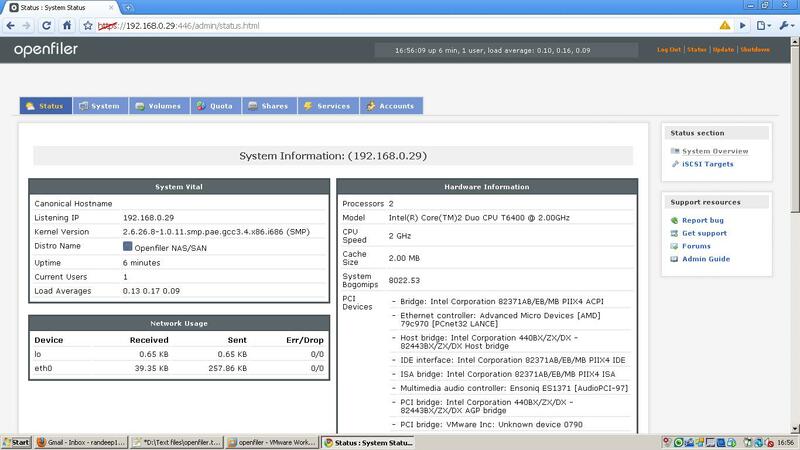 From systems tab iscsi-target. 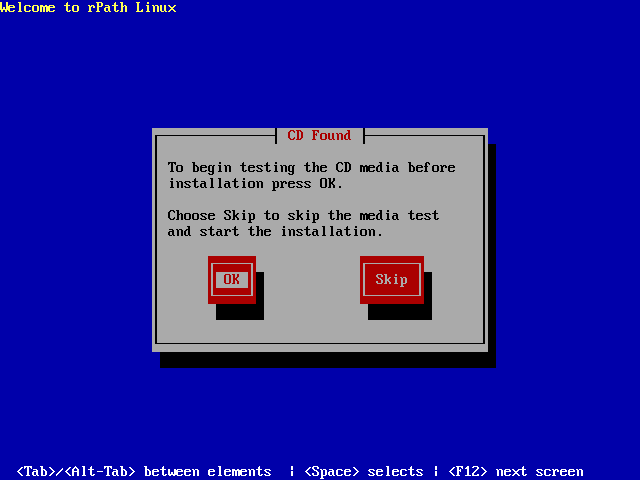 Here we are using a redhat enterprise linux5 as client. In order to use openfiler target as disk, it has to be set as iscsi initiator. For that we need to install the following package. You will get the scanned result as the line above. will list the iscsi targets now. 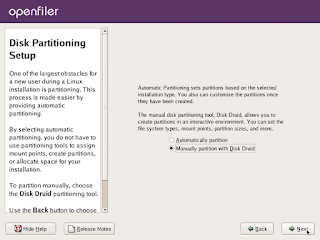 awesome tutorial, its excellent.Every linux admin can utilize this site. This is very good and very useful.